D. Luke Thomas is a Member in the Banking and Business Law industry groups, focusing primarily on banking and finance, bankruptcy, real estate, and trusts and estates. He practices out of the Firm’s office in Bridgeport, West Virginia. Luke regularly advises clients across a number of industries, including banking, coal, health care, oil and gas, and timber. Luke has years of experience handling both transactional and litigation matters. He has negotiated the sales of businesses and mergers and acquisitions, advised clients in most aspects of real property and contract law, and helped clients develop budget forecasts and strategic plans. He’s also assisted businesses as they navigate issues of licensure, structure, and employer liability. 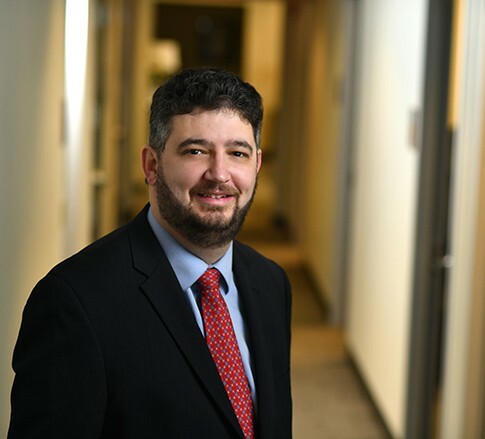 Luke has counseled businesses dealing with accountancy malpractice and fraud, so holding an accounting degree from West Virginia University in addition to his law license gives him invaluable insight. If all this wasn't enough, Luke also frequently counsels financial institutions in commercial lending matters and has represented creditors in bankruptcy proceedings.